With new iPhone models released every year alongside a competing Android OS it is not easy for a smartphone buyer to answer should I buy android or iPhone. There are a lot of comparisons on the features of both smartphones but in the end you need to think what features do you really need. You can find lot of sites doing a one to one comparison of cameras, weight, apps, battery life etc so I am not going to bother about those aspects. I will only consider the aspects that gives more control to you as a user and can help in long run. If you have an internet connection wouldn’t you want it to be shared with all you computers ? Well that’s something you get for free from Android based phones and not from iPhone. Android phone could become a Wi-Fi hotspot and allow internet access to other terminals or devices. Google voice allows making free or low cost calls throughout US and internationally. Apple has not integrated this into iPhone and would probably wont in near future. This application can be a huge money saver and hence should be a consideration for smart smartphone buyers. Android gives this for free but you are charged for this on iPhone. Even Microsoft joined the bandwagon of free turn by turn navigation software now. Apple should take note of this. 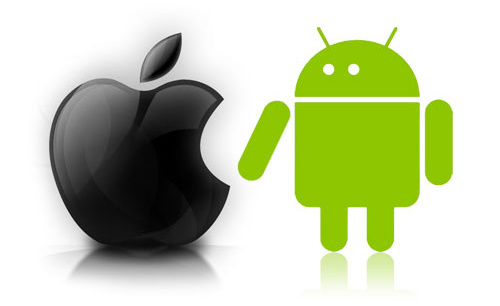 Developers have more freedom to develop apps on Android than on iPhone. I think the future growth is huge. Apple can complain about open environments all they want but we all know how popular Linux has been as open source OS. Bottom line is that if you are not really a techie guy but who makes lots of money and is willing to spend money on something extravagant then iPhone is for you. But if you are an adventurer, who likes to experiment with new technologies and do not want to be stuck with what Apple thinks is right for you then go for Android based phones.